[Michael Horn has been a leader in the move to blended learning as a disruptive technology. 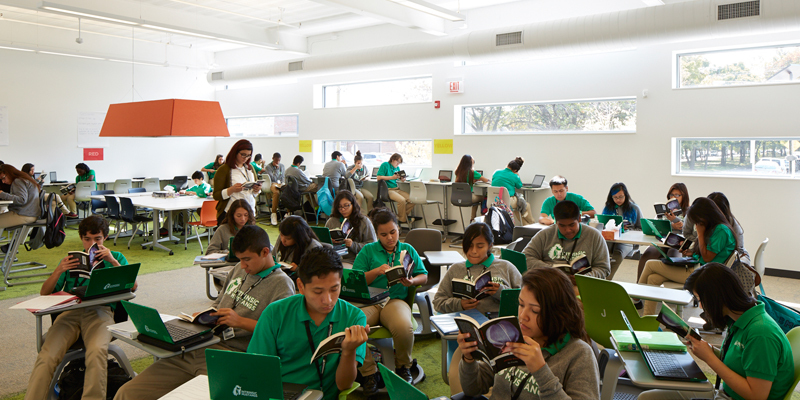 In this Edsurge article/ interview he looks at an example of a learning space that is designed for 21st century learning. Michael interviews Larry Kearns, an architect responsible for the design of Intrinsic Schools in Chicago. What follows is a Q&A addressing the issues raised above. The interview appears in two parts: the first focuses on the design behind Intrinsic Schools. Part Two, which will come next week, will focus on a higher-level discussion about the history and future of school design.